Developed market firms are increasingly expanding into emerging markets by forming international marketing joint ventures (IMJVs) with firms headquartered in these markets. However, about half of these IMJVs are eventually dissolved. In this article, the authors study the impact of dissolution announcements on short-term abnormal returns to the emerging market firm and discuss how their findings can help firms plan their IMJV entry and exit strategies. Many global organisations are increasingly using international marketing joint ventures (IMJVs) as a growth strategy vehicle to enter international markets. IMJVs occur when the foreign and local players jointly form a new firm, or when a foreign investor acquires an interest in a local firm. 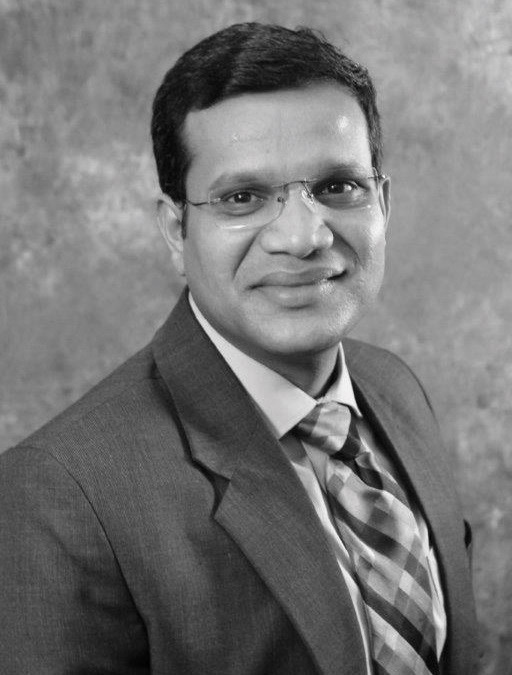 This strategic alliance allows two companies to combine the strengths of their marketing efforts to build research and development (R&D), manufacturing, sales, marketing, distribution and other capabilities. Over 83% of the firms surveyed in the United States focus on international geographical expansion as a growth strategy, according to the results of a 2014 KPMG survey. About 45% of the surveyed firms chose IMJV as a preferred mode of geographic expansion. IMJVs form an important part of the interactions between developed markets and emerging markets. Robert Hoskisson and other researchers define emerging markets as countries that exhibit rapid economic development and liberalised economic policies that favour the adoption of a free market system. A growing number of developed market firms are rapidly entering emerging markets such as China and India through IMJVs. 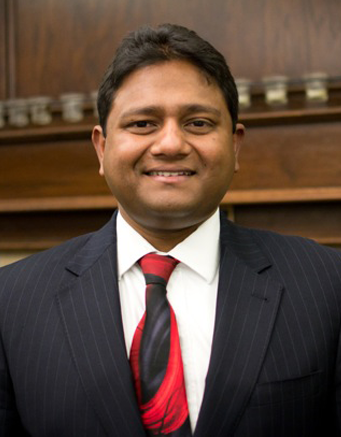 Joseph Johnson and Gerard Tellis’ 2008 study points out that about 400 of the Fortune 500 companies are present in China, while about 220 operate in India. There is growing interest in emerging markets, because emerging markets represent approximately 40% of the global economy and approximately 65% of the world’s population (Narasimhan, Srinivasan and Sudhir 2015). A 2012 McKinsey report suggests that emerging markets could contribute about $30 trillion of world business by 2025. Developed market firms tend to have a relatively longer horizon for the IMJV than emerging market firms. Despite the popularity of IMJV formation, about half of the IMJVs tend to get dissolved (Harrigan 1988). A recent example is the breakup of the joint venture between Norwegian telecom firm Telenor and Indian property developer Unitech Ltd. In fact, developed market-emerging market IMJV dissolution in India increased by 63% over a five-year period according to the data we use in our empirical analysis. 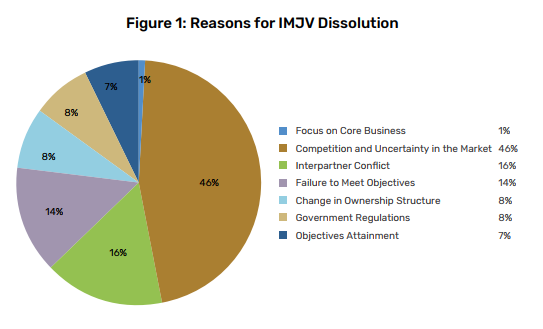 Figure 1 shows different reasons for IMJV dissolution mentioned in company announcements that we examined. About 400 of the Fortune 500 companies are present in China, while about 220 operate in India. There is growing interest in emerging markets, because emerging markets represent approximately 40% of the global economy and approximately 65% of the world’s population. What is the impact of the announcement of dissolution of an IMJV between a developed market firm and an emerging market firm on the short-term abnormal returns of the emerging market firm, i.e., returns that are different from the expected rate of returns for a firm? How do factors such as proposed post-dissolution structure, emerging market firm alliance experience, IMJV financial performance and equity distribution between the developed market and emerging market firms impact the short-term abnormal returns of the emerging market firm after an IMJV dissolution announcement? Our study investigates the impact of IMJV dissolutions on the shareholder value of emerging market firms. We identified 120 IMJV dissolutions in India during the time period 2001 to 2015 across industry sectors, and conducted media and financial performance analysis of these dissolutions. 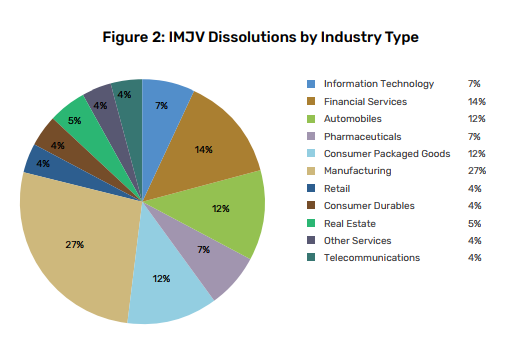 Figure 2 shows the industry-wise breakup of IMJV dissolutions. There has been rapid growth in IMJV formation between developed market and emerging market firms, which has led to related increases in joint venture dissolutions. Therefore, it is critical for firms to better understand the consequences of developed market-emerging market IMJV dissolutions. On average, an emerging market firm realises a 3.5% increase in returns upon announcing the dissolution of its IMJV. On average, an emerging market firm suffers negative returns on announcing the dissolution of its IMJV if it decides to acquire the IMJV after its dissolution. Acquiring a financially well-performing IMJV will help the emerging market firm gain positive shareholder value on announcing the IMJV’s dissolution. The emerging market firm’s alliance experience enhances shareholder value if the emerging market firm acquires the IMJV after dissolution. The results of our empirical model suggest that the mean cumulative abnormal returns for different event windows is positive and significant. 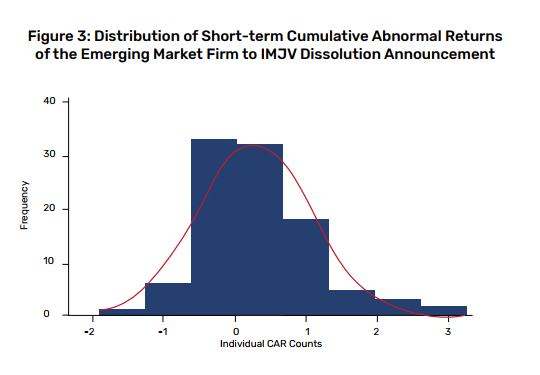 Figure 3 presents the distribution of short-term cumulative abnormal returns (CAR) of the emerging market firm in response to the IMJV dissolution announcement. We find that the emerging market firm suffers negative returns when it announces its intention to acquire the IMJV after the dissolution compared to when the developed market firm decides to acquire the IMJV. This finding can be explained by the differences in resources between emerging market and developed market firms. An IMJV acquisition has relatively greater impact for an emerging market firm than for a developed market firm. A second major difference is that the developed market firm brings global brands and knowledge to the IMJV, while the emerging market firm supplies local market knowledge. When the emerging market firm decides to acquire the IMJV, the market may interpret it as a loss of a value creation opportunity for the emerging market firm after the acquisition. We find that the emerging market firm gains value if it acquires a financially well-performing IMJV. The emerging market firm’s alliance experience also improves its shareholder value if the emerging market firm acquires the IMJV after the dissolution announcement. Finally, the IMJV dissolution announcement creates value to the emerging market firm’s shareholders if the partners equally share the IMJV’s equity. From the emerging market firm’s perspective, our findings suggest that managers should plan for the future at the time of IMJV formation, including preparation for a dissolution. In particular, emerging market firms should consider negotiating equal or somewhat equal distribution of control while entering IMJVs with developed market firms. There are several managerial implications for developed market and emerging market firms that are planning to enter into IMJVs or are dissolving them. Our findings can help managers from developed market firms identify the factors affecting the shareholder value for emerging market firms. Although this knowledge about post-dissolution dynamics directly helps emerging market firms, it also provides insights to developed market firm managers to identify partners who can also potentially benefit even if the IMJV is dissolved in the future. Developed market firms entering an IMJV need to negotiate mutually acceptable terms and to gain the trust of the emerging market partner, maintain strong relationships and address future collaborations even after dissolution. From the emerging market firm’s perspective, our findings suggest that managers should plan for the future at the time of IMJV formation, including preparation for a dissolution. In particular, emerging market firms should consider negotiating equal or somewhat equal distribution of control while entering IMJVs with developed market firms. Moreover, the findings of the study can help managers of the emerging market firms choose an exit strategy for the IMJV. Our findings suggest that emerging market firms should consider acquiring a well-performing IMJV or selling their stake to developed market firms or a third party. We further learn that alliance experience can help emerging market firms gain positive abnormal returns if the emerging market firm decides to acquire the IMJV. Therefore, emerging market firms should consider other collaboration possibilities not only to extract the benefits of the venture, but also to protect their shareholder value in case their IMJV fails. Table 1 presents a summary of the managerial implications for emerging market firms. Finally, the findings from our study can be utilised by emerging market firms in developing a dissolution announcement strategy. In particular, the firm can choose to highlight or not to highlight specifics of the IMJV in its press release. For example, if the emerging market firm is acquiring a better performing IMJV, has alliance experience and has equal or almost equal distribution of power in the IMJV, this information should be highlighted. 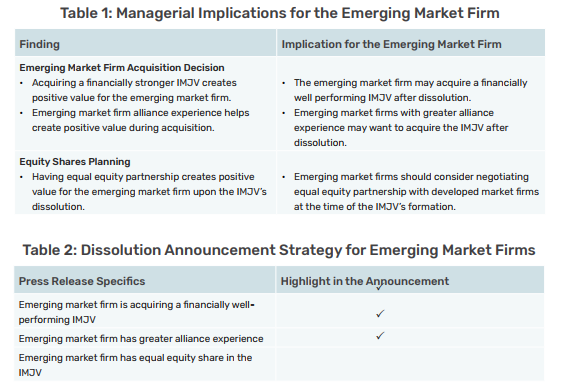 Table 2 presents the IMJV dissolution announcement strategy for emerging market firms. These recommendations can help developed market and emerging market firms already engaged in IMJVs or planning to enter into IMJVs in the future in developing both their entry and exit strategies. Burgess, S M and J B E Steenkamp (2006). “Marketing Renaissance: How Research in Emerging Markets Advances Marketing Science and Practice.” International Journal of Research in Marketing, 23 (4): 337-356. Harrigan, K R (1988). “Joint Ventures and Competitive Strategy.” Strategic Management Journal, 9 (2): 141-158. Hoskisson, R E, L Eden, C M Lau, and M Wright (2000). “Strategy in Emerging Economies.” Academy of Management Journal, 43 (3): 249-267. Johnson, J and G J Tellis (2008). “Drivers of Success for Market Entry into China and India.” Journal of Marketing, 72 (3): 1-13. Narasimhan, L, K Srinivasan and K Sudhir (2015). “Marketing Science in Emerging Markets.” Marketing Science, 34(4), 473-479. 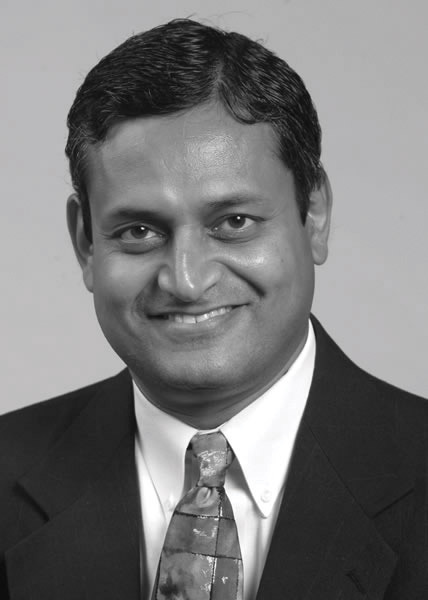 Venky Shankar is the Coleman Chair Professor of Marketing and Director of Research at the Center for Retailing Studies, Mays Business School, Texas A&M University.